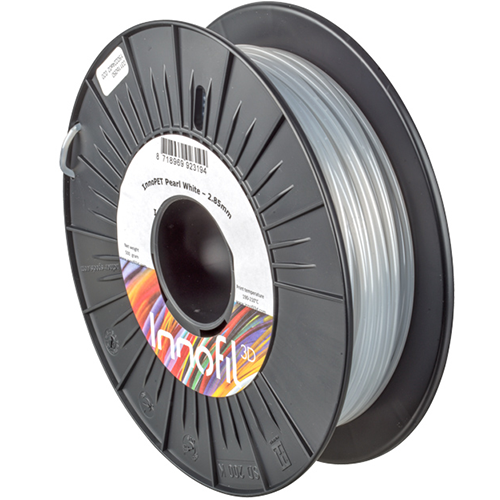 PET filament is stronger than PLA and is food approved. PET has a translucent look and an good surface finish. PET is easy to print and has little warping, small or shrinking.